Hello! This week's It Girl is Sophie Elkus. 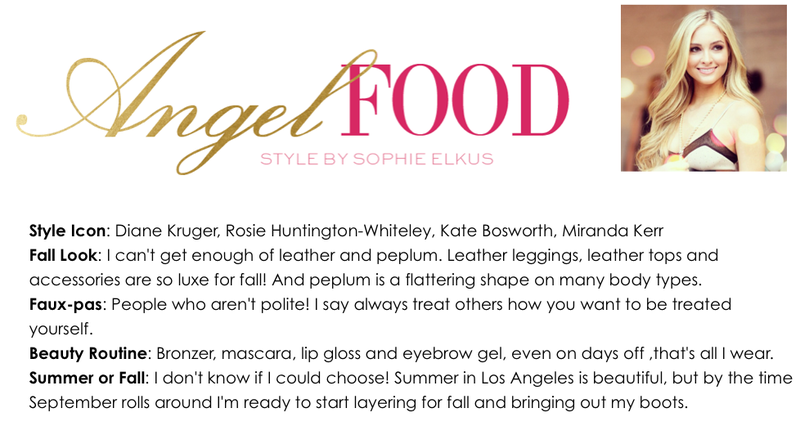 Sophie writes the amazing blog AngelFoodStyle. Sophie is so sweet, and has fantastic style. Her look is so chic, and she loves playing with trends, but keeping true to her own style. I love the items she picked for her Fall essentials. To me, Sophie is definitely an It Girl in my book.